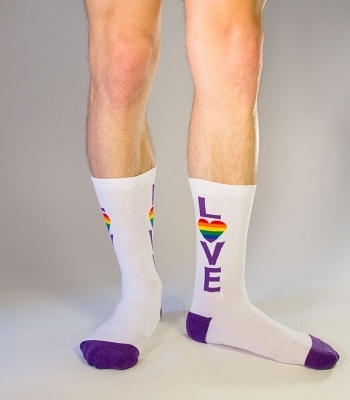 LOVE comes in all shapes, sizes, and colors and so does this sweet LOVE crew sock (well, adult sizes, foot shapes, and colors in the visible spectrum). 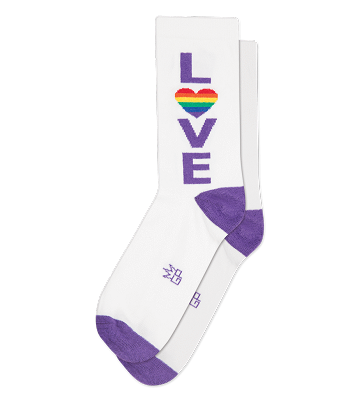 Your feet will adore the soft white cotton adorned with purple lettering, heel and toe cap and rainbow heart. 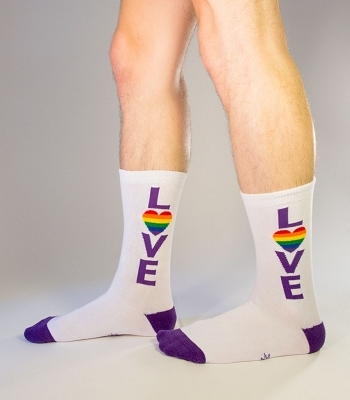 Perfect for friends, lovers and allies, the LOVE sock is in LOVE with your foot and you will LOVE wearing them.